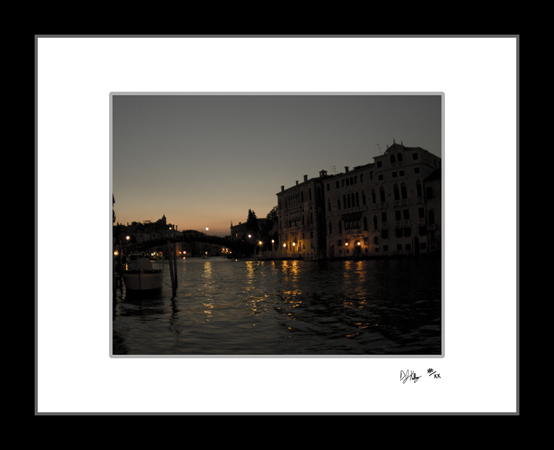 This fine art print of night on the Grand Canal in Venice, Italy. The Grand Canal is the main route through Venice, much like a major highway except its filled with boats. In this photograph night has invaded Venice and the lights are reflecting on the water. Venice at night is one of the most amazing sights and worth a walk.